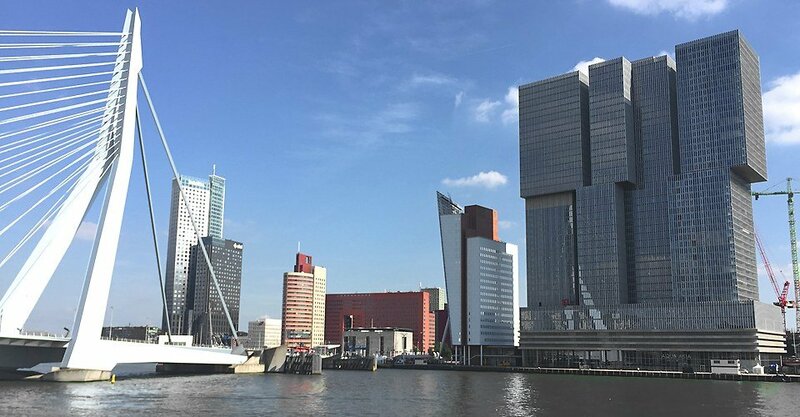 Rotterdam's rising skyline has become an icon in the world of architecture. 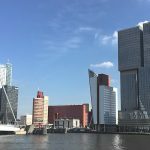 Erasmus bridge and De Rotterdam. 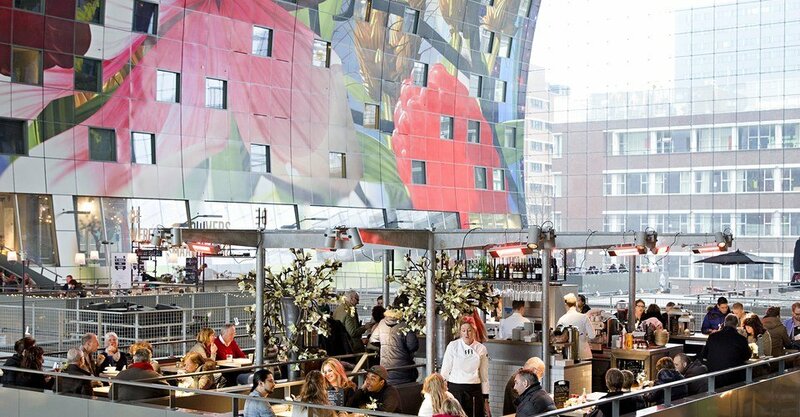 Opened in 2014 Rotterdam's Markthal is combining an indoor market with luxury housing. 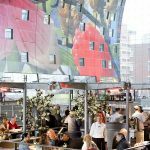 The Markthal has about 100 fresh food stands, nearly 15 food shops and various restaurants. Look up to enjoy the massive artwork sprawling across the ceiling: the 'Horn of Plenty'. 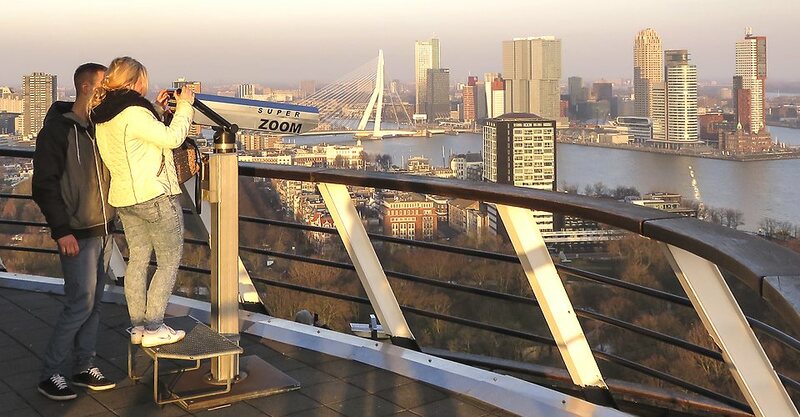 From the Euromast, one of the highest towers in Holland, enjoy the spectacular view over this modern city and the Rotterdam port. 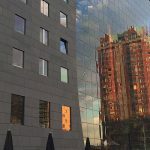 Hotel New York opened in the formerly head office of the Holland America Line. Dutch immigrants setting sail from here to seek a new life in North America. 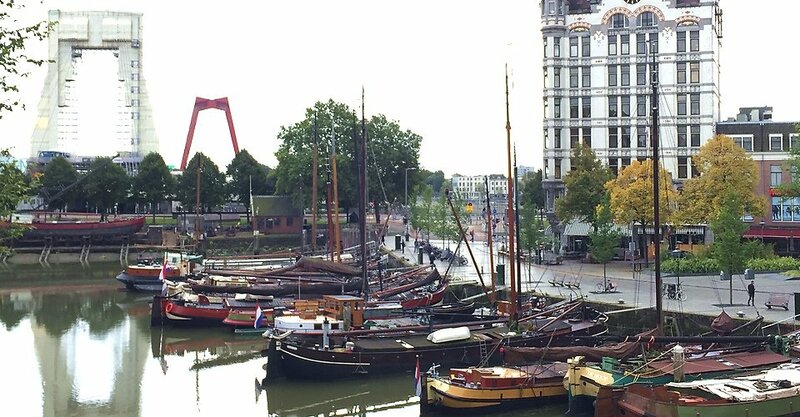 Impressive historic ships make the Oude Haven (Old Port) a popular place for locals to meet, eat, drink and dance. 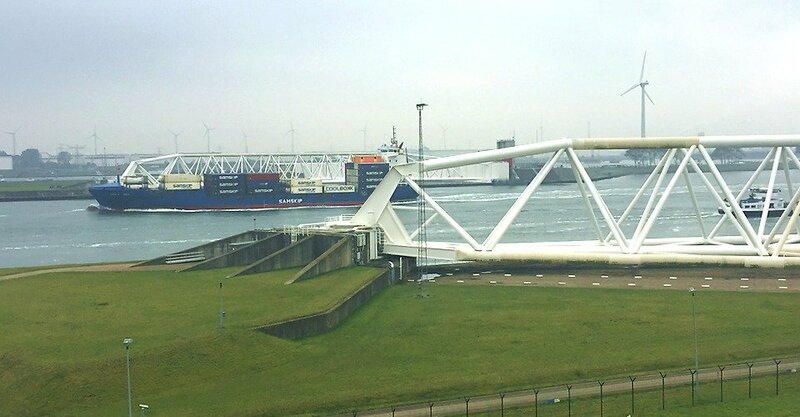 The port of Rotterdam is the largest port in Europe. You enter through the Maeslantkering storm surge barrier of the Delta Works. 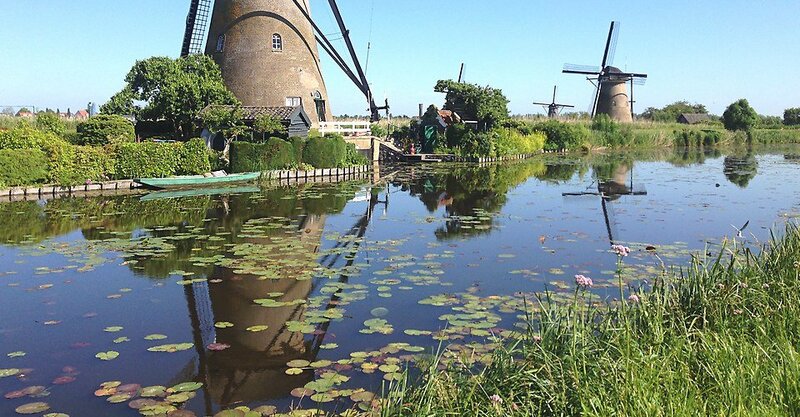 The 19 windmills of Kinderdijk deserve their status as UNESCO World Heritage. 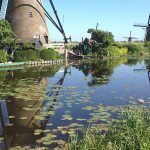 Picturesque and quintessentially Dutch. 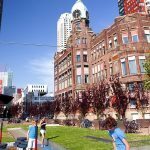 Rotterdam is a city of many faces: a tough port city, a trendy nightlife city, a sophisticated shopping city, and a hip artistic city. 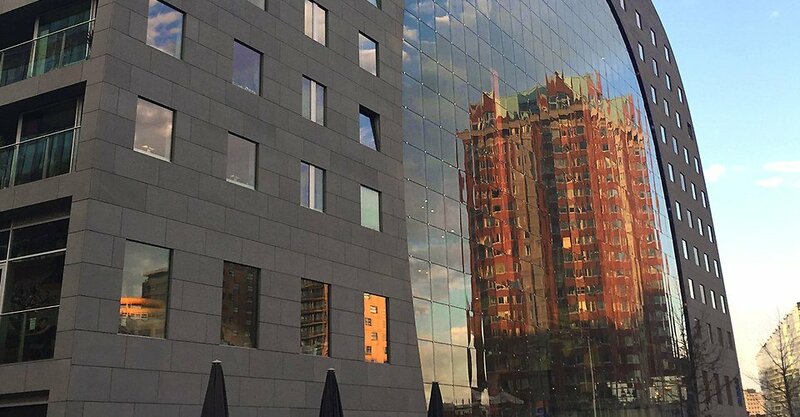 Above all, it is the architecture city of Holland that stimulates innovation. Its skyline is always changing. 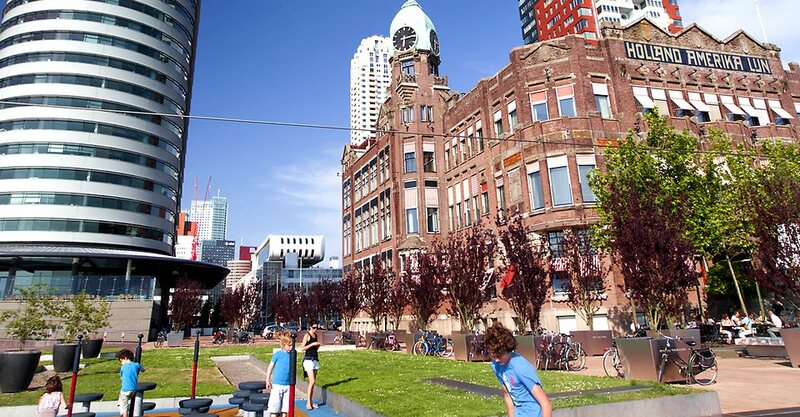 Having been bombed flat during WWII, Rotterdam quickly transformed itself. Walking around the city you’ll see examples of architectural styles spanning post-WWII to the present day. 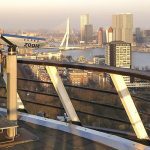 Enjoy excellent food, visit a range of museums, Euromast (Rotterdam’s Space Needle) or cruise the largest port of Europe. Had a very good time with Wilfred of Holland Private Tours. He is very professional and everything was as “ordered”. Enjoyed every attraction. The tour was very , very interesting….. wish we had more time. If you want to see Holland/Nederland this is the way to do it! 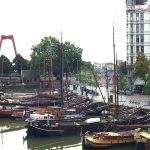 Sanne was a fount of information about Dutch society and history and sights in the local area. Without the tour, we would not have been able to see so much. 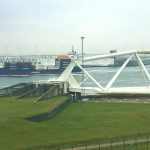 Sanne was friendly, courteous and knowledgeable of her country and the area. She made the tour well worthwhile for our trip.